This is quite a long day trip, in bush, without a lot of views beyond the immediate track. At one stage you come out onto farm land and then there is the Whataroa Falls where you can stop for a swim before the last half hour or so to the road. 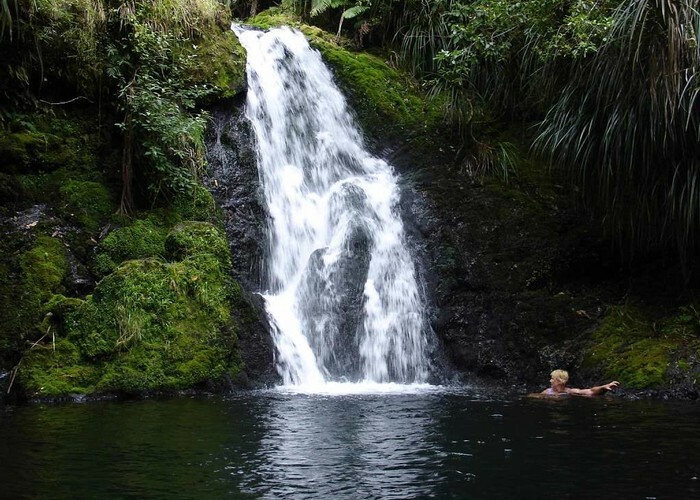 Swiming at the Whataroa Falls • By pmcke. Added 23 May 2008 by pmckepmcke. No revisions.